KATHMANDU, Sept 19: Rupee is showing no sign of a significant recovery as the value of local unit against the US Dollar nosedived to a record low of Rs 117.07 on Wednesday, according to a reference rate set by the Nepal Rastra Bank (NRB). 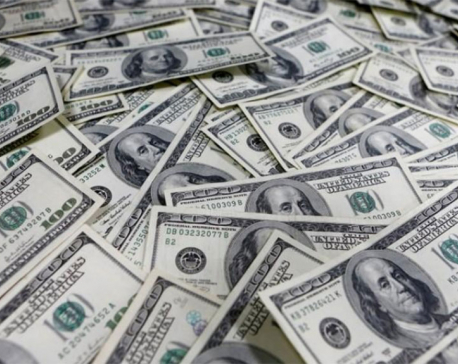 This means 1 US dollar will now fetch Rs 117.3, the most ever. On Tuesday, the price of $1 was Rs 116.32. 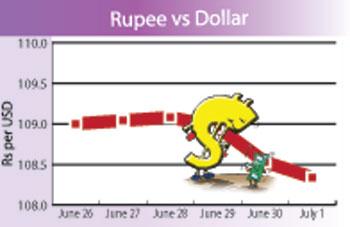 The value of Rupee has been on a steep decline in line with the free fall of the Indian rupee with which the Nepali currency is pegged. 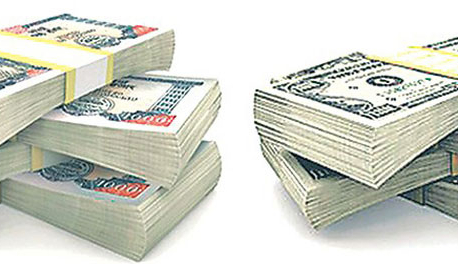 The rapid depreciation of Nepali currency is likely to threaten the external sector stability of the country as it is likely to exacerbate trade deficit, current account deficit as well as the balance of payment position of the country. Among others, the appreciation of the greenback is also likely to put upward pressure on inflation due to heavy reliance on imports for consumption. However, the appreciation of US dollar is a boon for tourism sector and remittance receiving households, according to economists.